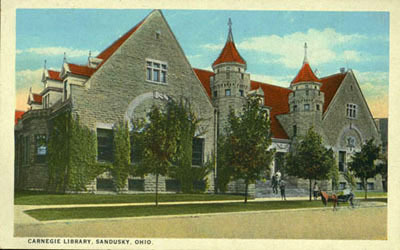 From the late 1940s through the 1980s, the Sandusky Library operated a Bookmobile to bring library services to rural areas and housing developments in Sandusky and Erie County. 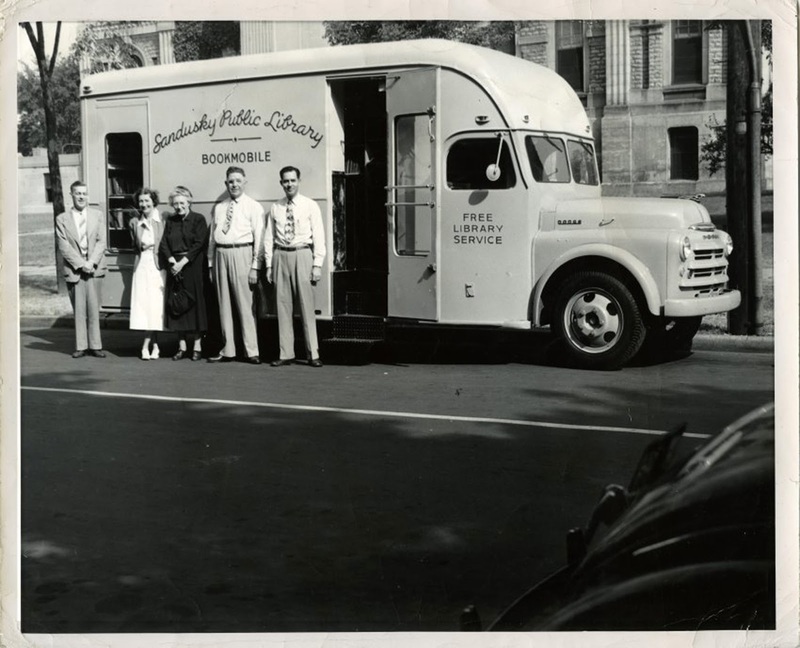 Pictured above in this 1949 photo in front of the Erie County Courthouse are: Ray Speers, County Commissioner; Mary McCann, head librarian; Mrs. Leland Spore, president of the Library Board of Trustees; L.G. Parker, County Commissioner, and Robert Crecelius, County Commissioner. 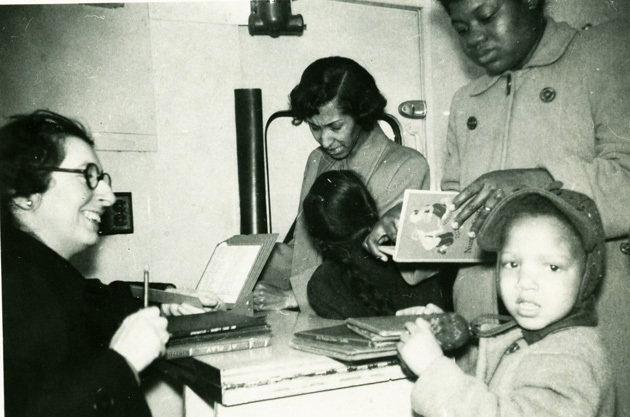 Though Miss Mary McCann was the Head Librarian, on occasion she worked on the Bookmobile. 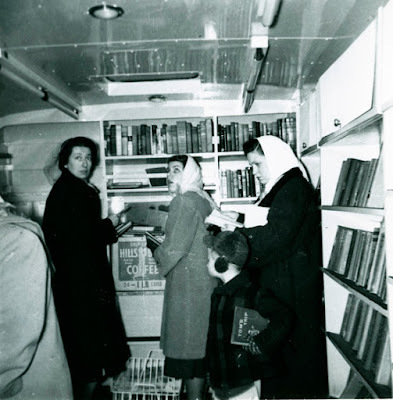 She is the first person on the left on this interior view of the Bookmobile. 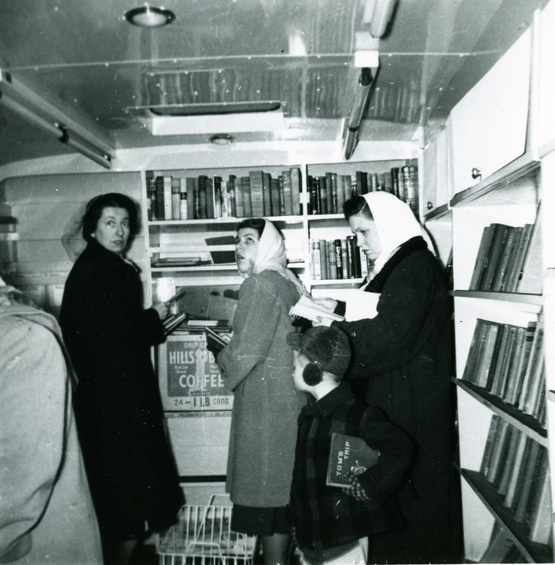 Area residents of all ages enjoyed the convenience of checking out items on the Bookmobile! Though we no longer have a Bookmobile, anyone with a Sandusky Library card can get free and easy delivery of books, streaming videos, music and recorded books through Clevnet's eMedia offerings and Hoopla. Check out the Quick Start guides at the home page of the Sandusky Library to learn more about getting started with digital downloads.